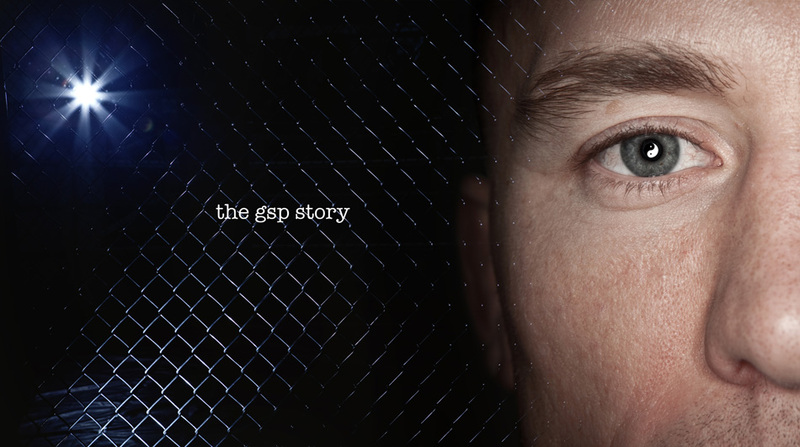 The GSP Story is a documentary movie project featuring the renown Canadian Mixed Martial Arts (MMA) athlete, Georges St-Pierre (GSP). Ostensibly it is a film focusing upon GSP’s preparation for an upcoming defense of his world UFC welterweight title and the action and events that unfold as the event draws near. The real focus of the documentary however, runs much deeper than this. The film begins with a vivid portrayal of GSP’s world view; one which sees the basis of all life as unremitting competition, a world that divides our experience of life into successes and failures, winning and losing, and the resulting emotional turmoil that arises from these experiences. The sport of MMA is used as a metaphor for life and our experience of it. GSP’s lifestyle and belief system is thus immediately linked to something much deeper and broader than mere athletic competition. It is seen as a carefully crafted and philosophically profound response to some of the pervasive and difficult problems of life itself. In this way, The GSP Story seeks to work at several different levels; intellectual, cerebral, emotional and cultural. The GSP Story will break new ground in the film industry using the most advanced cinematic technologies, setting new standards in this genre. In 2014, the GSP Story was completed when it’s screenplay was adapted by Takedown: The DNA of GSP.